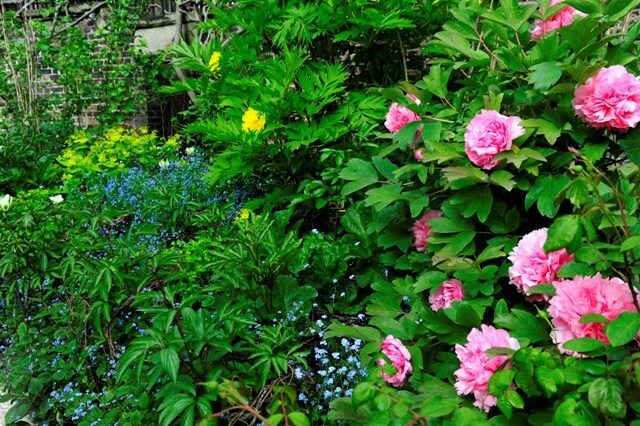 Within the precincts of the Inner Temple lies a 3 acre garden the history of which dates back to the 14th Century and where the Chelsea Flower show has its roots. "Echoes of this long history can be found in today's garden of the Inner Temple. The ancient orchard is recognised by a variety of fruit trees, including a large-fruiting walnut, a medlar, a quince and a black mulberry. The Long Border acknowledges the Wars of the Roses. There is a Queen Anne sundial, the decorated iron gates date from c1730, as does the statue of a kneeling blackamore by Van Ost. The plane trees lining the broadwalk were planted in the 1870s and are as resilient to today's traffic pollution as they were to the infamous London smogs." You can read more about the gardens of the Inner Templehere.